When will be Little Women: Dallas next episode air date? Is Little Women: Dallas renewed or cancelled? Where to countdown Little Women: Dallas air dates? 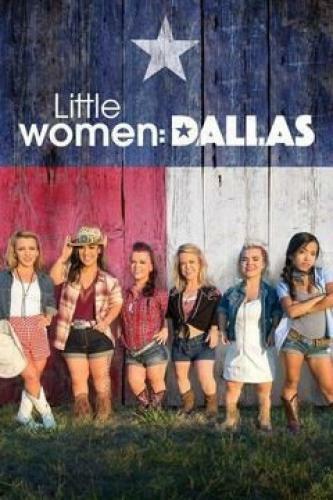 Is Little Women: Dallas worth watching? Lifetime's popular franchise heads to The Lone Star State with Little Women: Dallas. When Bri Barlup and Emily Fernandez move from Atlanta to Texas after dealing with some hard times, they are ready to shake things up with a whole group of new little ladies who prove that although everything is not always "bigger" in Texas, the drama certainly is! Season two of Little Women: Dallas wraps up with a real barn-burner of a finale. All of the girls get together to try to put out the fire by airing out their grievances with each other, but will their attempts to resolve their issues only add more fuel to the flames? Little Women: Dallas next episode air date provides TVMaze for you. EpisoDate.com is your TV show guide to Countdown Little Women: Dallas Episode Air Dates and to stay in touch with Little Women: Dallas next episode Air Date and your others favorite TV Shows. Add the shows you like to a "Watchlist" and let the site take it from there.